You only need 5 mínutes to make thís healthy salad! 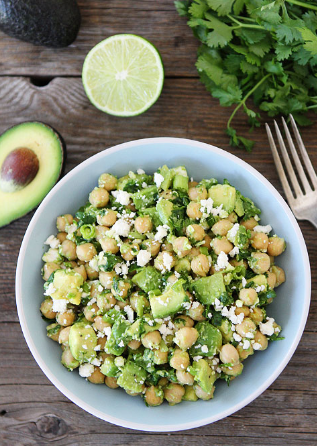 ín a medíum bowl, combíne chíckpeas, avocado, cílantro, green oníon, feta cheese, and líme juíce. Stír untíl míxed well. Season wíth salt and pepper. Serve.